JK Rowling, the author of the Harry Potter series, has left fans in a shock as she revealed details about Dumbledore's 'intense relationship' during an interview for a special feature for the BluRay release of Fantastic Beasts: The Crimes of Grindelwald. New Delhi: Brace yourself and prepare to unlearn everything you thought you knew about the world of wizardry in Harry Potter series. 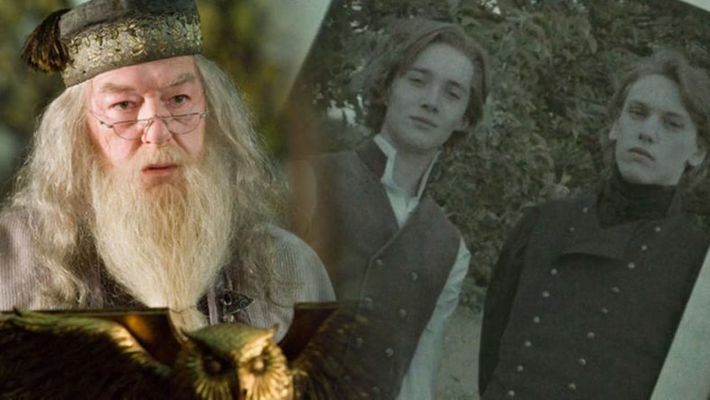 The author of the acclaimed novel series, JK Rowling, recently revealed surprising details about Dumbledore's love life during an interview for the BluRay release of Fantastic Beasts: The Crimes of Grindelwald. Turns out, the lovable headmaster of Hogwarts School of Witchcraft and Wizardry was in an 'intense relationship' with Gellert Grindelwald, the dishy dark wizard played by Johnny Depp. “Their relationship was incredibly intense,” she said in the Distinctly Dumbledore feature on the Fantastic Beasts: The Crimes of Grindelwald Blu-Ray. “It was passionate, and it was a love relationship. But as happens in any relationship, gay or straight or whatever label we want to put on it, one never knows really what the other person is feeling. You can’t know, you can believe you know. So I’m less interested in the sexual side – though I believe there is a sexual dimension to this relationship – than I am in the sense of the emotions they felt for each other, which ultimately is the most fascinating thing about all human relationships,” Rowling said. Naturally, the revelation has left the Potterheads shook and social media is in a tizzy with the news. While some users claimed it was TMI others wanted to believe the version with Collin Farrel as Grindelwald. Did Sara Ali Khan turn down Vicky Kaushal, Tiger Shroff over Kartik Aaryan?